we welcome the opportunity to serve you and your guests! 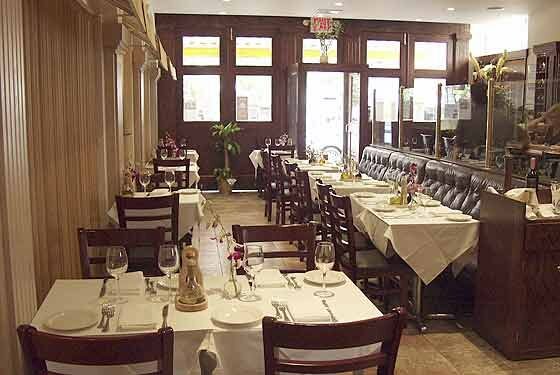 Il Punto Ristorante features 2 Dining Rooms for you to choose from…a Private Room and a Semi-Private Room. An option to use the Main Dining room is also available, depending on the size of your group. Our Private Dining Room accommodates up to 40 guests seated comfortably or a Cocktail Party of up to 50 guests. This intimate room has a full bar and provides an exclusive space that can be set up in several arrangements. Would you like your guests seated at one long table (up to 36 guests) ? Or perhaps you’d like to have multiple tables of four? You can mix it up with tables of two and have a special table for your Guests of Honor. The choice is yours…we’d be happy to arrange the room however you prefer!